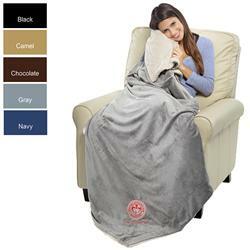 One of the best custom throw blankets on the market. Oversized and soft. The best just got better, one side luxurious faux micro mink, the other side cozy faux lambswool sherpa. A concealed zipper seam in the corner hides the embroidery threads on the back side. Production Times Available: 5 to 7 working days. Available Imprint Options: Embroidery - 7K included. The best just got better, one side luxurious faux micro mink, the other side cozy faux lambswool sherpa. A concealed zipper seam in the corner hides the embroidery threads on the back side. 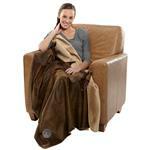 Rustic Faux Leather Throw Blankets - 50" x 50"